The Automatic Magnification Reading (AMR) capability that uniquely comes with Dino-Lite Edge AM4515ZT with polarizer, not only increases the accuracy of the magnification reading, but also releases the difficulty of reading the magnification or increases the efficiency of doing measurement for many applications or users . When opening the DinoCapture 2.0 software with an AM4515ZT series connected, the user will not be bothered to enter the magnification when doing measurements either on live video or from a picture. 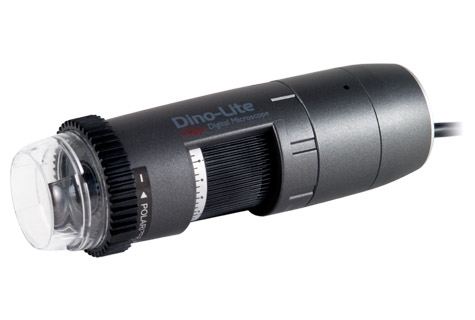 Same as other Dino-Lite Edge products, the AM4515ZT has the best overall image quality from a Dino-Lite with 1.3 Megapixels. It also has better adaptability to different applications with the detachable and exchangeable front cap design.